Prosser Road Dade City, FL. | MLS# E2204840 | Real Estate Sales & Property Mangement in Dade City, San Antonio, Wesley Chapel, Brooksville, Homosassa, & Bushnell. Looking for a home site? 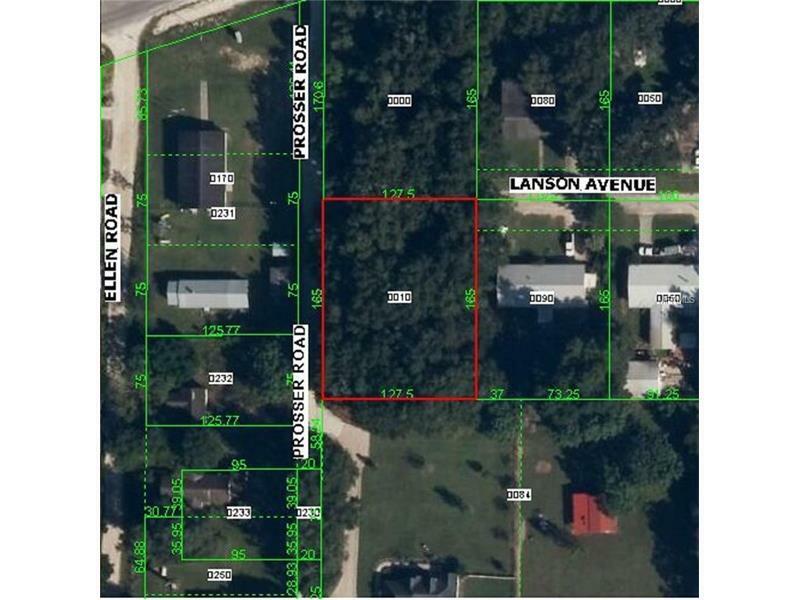 Check out this 0.51 acres lot. Heavily wooded lot just minutes from downtown Dade City. Close to schools, hospital & shopping.